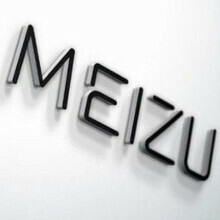 Meizu to sell its wares in North America? Like what you've seen of the Meizu PRO 5 so far? If you live in North America, you might soon end up with the opportunity to purchase Meizu-branded handsets. Meizu VP Li Nan says that the company is keeping a close eye on what is happening in the U.S. smartphone market, with an eye toward eventually participating in it. And because Meizu is looking to sell directly to consumers, it won't have to worry about having to form a close relationship with one or more of the top stateside mobile operators. Last month alone, Meizu increased its sales four fold to 2.89 million units. That is quite a figure considering that last year, it sold all of 5 million handsets. The MX4 received some publicity last year, by being the top scoring phone on the AnTuTu benchmark site. Many of the Chinese smartphone manufacturers are at a point where they have a name that is known by smartphone fans in North America despite not participating in the market. Xiaomi is a case in point. But before these companies start spending money on promotion and fulfillment in North America, they are waiting for the perfect opportunity. That might require another year of watching and waiting until the perfect opportunity presents itself for Meizu in North America. You would have to think that if Xiaomi is being cautious about creating a U.S. presence at this time, the much smaller Meizu also has to wait. If they were to start selling in North America and had all the T-Mobile bands, I'm pretty sure my next phone would be a Meizu or Xiaomi. They are just the best at value-price. If you think Meizu & Xiaomi phones will sell for the same price on our shores that they do in China, you haven't thought this through. Throw in import costs, shelving fees, carrier costs, & taxes & they won't be much cheaper than anything else. I know that. They definitely won't be as cheap, but even with all those extra costs they can still be much cheaper than the flagship brand phones we are used to in America. Doubtful. Especially when all the other OEMs start litigating the crap out of them for all those stolen designs. I don't understand why are they waiting. They have quite q few good value to price phones and they have the marketing capital. China itself has few times more people than the whole North America, that's why. Besides that, they need to comply with higher quality requirements(like SAR exposure) and possibly pay patent fees so the price/value ratio would fall. Probably because the horrible Apple patent trolls would sue them and try to get them banned. Not until they start selling better. I would definitely buy one for Verizon. Competition is needed is the USA market. Meizu has been selling it's MP3 players in the US back in the day and just up and left American market before the smartphone era. Is it just me or does the HTC A9 look exactly like the Meizu MX5 and Pro 5.
i think that will do decently in the us market just like oneplus, but imo i think the way to really be successful in the us market is to be picked up by the 4 big carriers. that way customers can have payment options and not pay the entire cost up front. Can't wait to put my big paws on it.